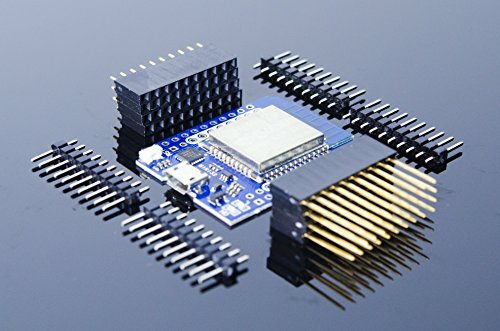 Similar to the ESP8266, the ESP32 doesn't have a native USB interface, so it needs an external USB to Serial adapter (e.g., FTDI FT232 USB to Serial UART adapter) to receive code from a computer's USB connection. The WeMos D1 Mini family of boards is one of the latest additions to the ESP32- and ESP8266-based Internet Of Things (IoT) ecosystem. With the ACROBOTIC WeMos ESP32 D1 Mini Pro development board, everything needed to program the latest ESP32 module (the ESP-WROOM-32) comes nicely packaged on a single board. Different than our ESP8266 D1 Mini V2 and ESP8266 D1 Mini Pro, the ESP32 D1 Mini carries the ESP32-WROOM-32 module while keeping the same form factor. Together with a growing set of expansion boards (shields), the WeMos family is a great solution for building projects quickly using both the ESP8266 and ESP32 SoC. If you have any questions about this product by ACROBOTIC, contact us by completing and submitting the form below. If you are looking for a specif part number, please include it with your message.